Among the growing plethora of compact hatchbacks, the Volkswagen Golf is the endurance champ, now more than 40 years old over seven generations. 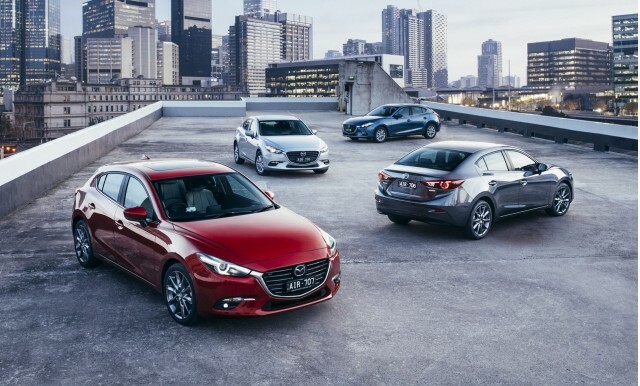 While the Mazda 3 is only on its third generation, Mazda has sold other small hatchbacks, so both are contenders of long standing on the sporty end of the small-car scale. You'll immediately recognize the VW Golf, whose shape remains true to its upright origins as the 1974 VW Rabbit. It's a handsome, rectilinear hatchback, slightly larger than previous generations and better integrated than the model it succeeded. 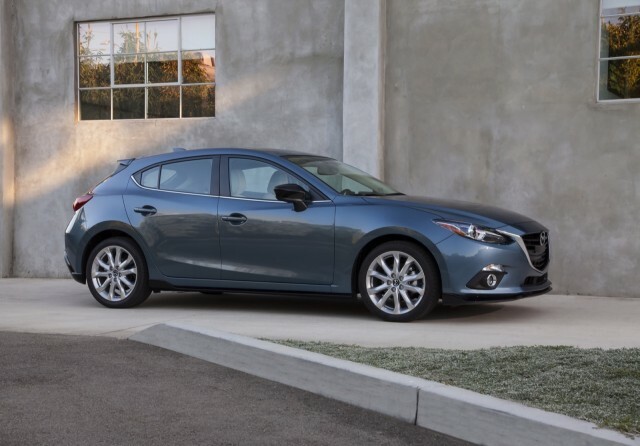 The Mazda 3 is far swoopier, with a long hood and a "cab-back" style that truncates the cabin and makes its proportions distinct from any other small car. MORE: Read our latest reviews of the Volkswagen Golf and Mazda 3. There's also a Mazda 3 sedan, but it competes with the Volkswagen Jetta; the Golf is offered as a hatchback or a wagon (including a new-for-2017 Golf Alltrack that's basically a wagon with a lift kit and all-wheel drive). Although the Jetta and Golf used to be essentially the same car, aside from the way they carried cargo. Today, however, the Jetta is a distinctly different vehicle with its own interior and suspensions. The Jetta is designed primarily for Americans, while the Golf is a global vehicle sold in just about every corner of the globe. Inside, the Volkswagen is evolutionary, with the addition of a touchscreen display in the upper center of its dashboard. It's brighter looking and more airy, and silver accents make it less grim than previous base models' largely black interiors. 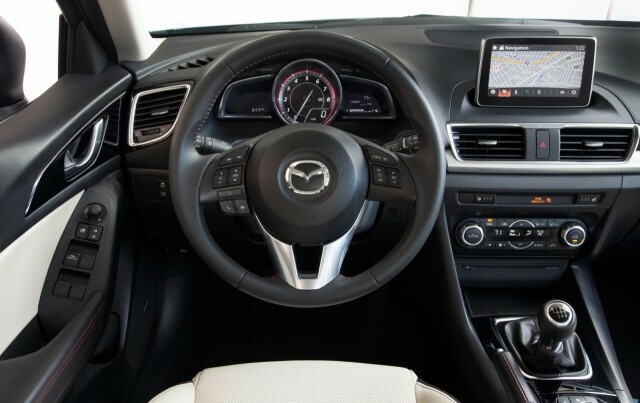 The Mazda's interior is businesslike but slightly more stylish, with a large, colorful, high-contrast freestanding screen protruding from the top of the dash, a la Mercedes-Benz. The main challenge for Mazda buyers is cabin space. It's spacious in front, and the seats are supportive and comfortable. But back-seat room is among the tightest, with little leg room or head room. 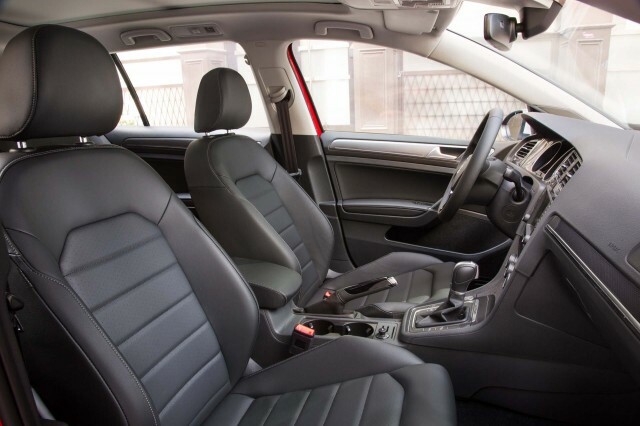 The Volkswagen Golf, on the other hand, can accommodate four adults in relative comfort. Mazda may feel that the 3 will only be used by couples, or couples with small children, but it's impractical if you need to carry four adults for any distance. 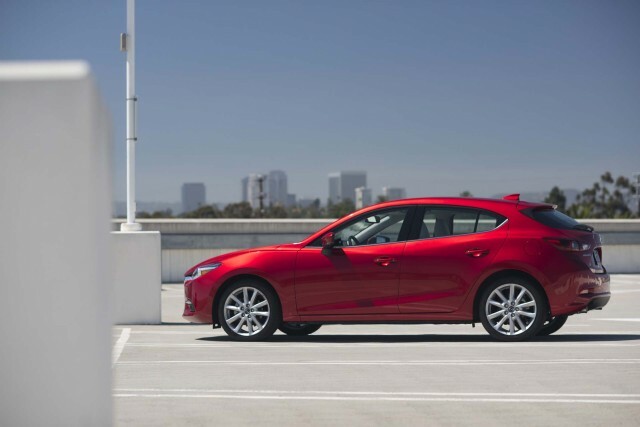 The Mazda 3 comes with either a 2.0-liter version of its engine rated at 155 horsepower, or a more powerful 2.5-liter version that puts out 184 hp. Each is available with a 6-speed manual gearbox or a 6-speed automatic transmission. The entire structure of the Mazda 3 has been designed around these engines, with more length from the front wheels to the firewall housing a complex exhaust system that vastly improves efficiency. EPA combined ratings are 29 to 33 mpg, depending on powertrain, both laudable for a sporty compact hatchback and likely to be confirmed by real-world use. 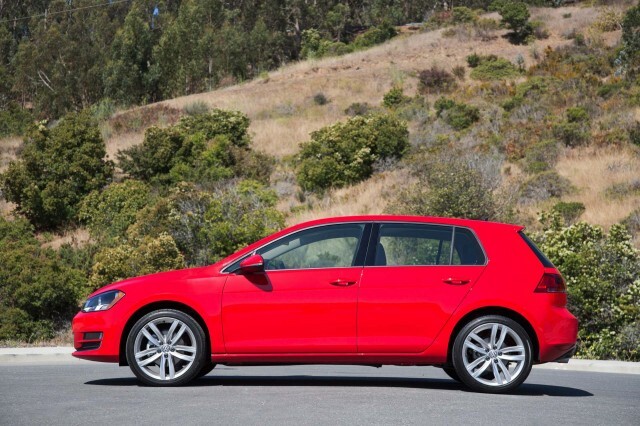 The base engine in the Golf TSI and Golf SportWagen is a 1.8-liter turbocharged, direct-injection inline-4 rated at 170 horsepower and 199 pound-feet of torque that doesn't delay its power delivery. Stepping up to the Golf GTI nets a 40 hp (or 50 hp) boost from a 2.0-liter turbo-4 that makes 258 lb-ft of torque. It's hard to catch this engine flat-footed, and both the 6-speed manual or 6-speed dual-clutch gearboxes are fine choices. Acceleration to 60 mph takes around six seconds—very quick considering the practicality here—while a "progressive" steering system and a suspension that's tuned for performance make the GTI more satisfying to drive fast than the Golf. After admitting to cheating on the EPA's emissions testing, the Golf is no longer offered with the automaker's turbodiesel (TDI in VW-speak) engine range. And that's a shame, not only because of the black mark on VW's cheating but also because those engines were thrifty and strong. The Mazda is largely a joy to drive. It's far more athletic than your most compact cars, with excellent suspension and dynamics. The downside is less on-center stability in highway driving, plus a fair amount of ride harshness (and noise) making its way into the cabin. The Golf is competent, and handles very well, although it feels shy of genuinely sporty unless you opt for the GTI. Golfs have some of the best electric power steering and road-noise isolation in the category. The sprawling VW Golf range also includes the Golf SportWagen (which was the Jetta SportWagen in prior generations) and an all-electric Volkswagen e-Golf. The SportWagen drives just like a Golf but with far more interior volume; VW notes that it has more cargo space than some compact SUVs. 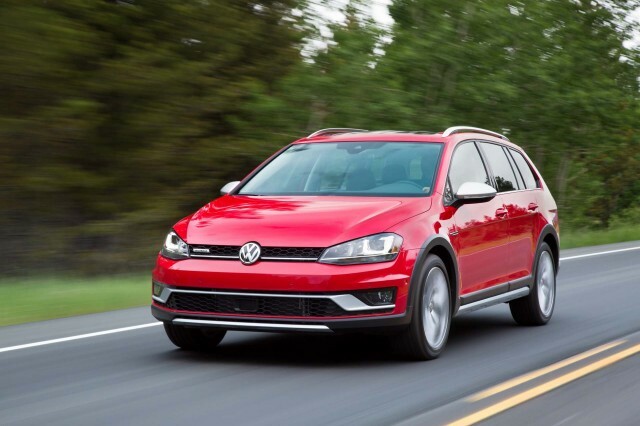 An all-wheel-drive SportWagen is newly available with either 6-speed manual or the automatic, while the new Golf Alltrack takes a Subaru-like approach by offering a small degree of off-road ability. The low-volume e-Golf drives like a somewhat heavier and very quiet Golf; it's the most inconspicuous integration of battery-electric power we know. There's also the classic Volkswagen GTI model derived from the Golf, with an even more powerful 220-hp 2.0 TFSI engine. GTI buyers get a choice between 6-speed manual and 6-speed dual-clutch (DSG) gearboxes. Which one's better for you? This one's likely to come down to driving habits. If you envision a sporty ride to work, the GTI is the road to go down. However, if you just need a simple, efficient commuter with plenty of value, the Mazda 3 is our winner for most buyers. There's a Golf for nearly every taste and need—Golf, Golf GTI, Golf SportWagen— and don't forget about the EV eGolf, which is very balanced and fun to drive. The 2017 Mazda 3 is near the top of our favorite compact cars on sale today. Its good performance, good fuel economy, and good value make for a very good car. The Volkswagen Golf is straight-laced and serious; far more conservative than most in its class. Put simply, the 2017 Mazda 3 is an attractive car at an attractive price. The Golf can be as powerful and as quick as you like, but base versions are practical and competent. The little things in the 2017 Mazda 3 make a big difference when it comes to drivability. The 2017 Golf is one of the most refined compact cars on the road today. 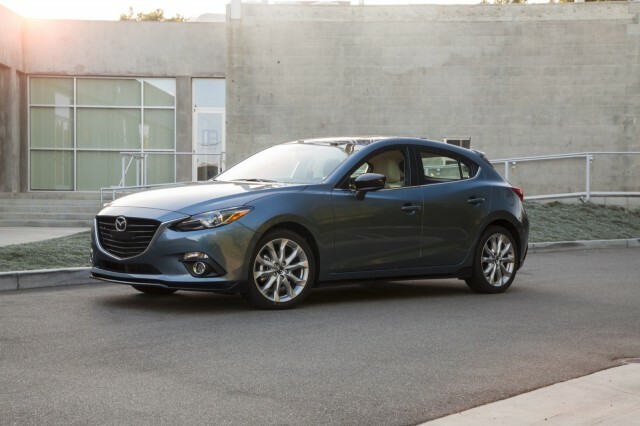 Considering the price, the Mazda 3 isn't a bad pick—we were just hoping for more. 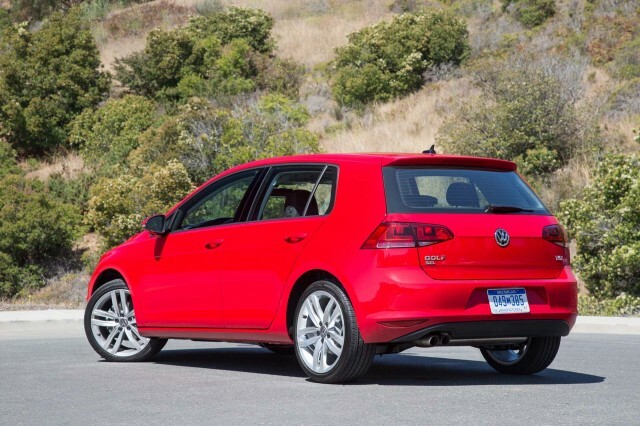 The entire Golf range has earned near-perfect scores from the IIHS, and very good scores from federal testers. The 2017 Mazda 3 boasts an impressive safety score thanks to good crash-test data and available safety features. Base Volkswagens aren't lavishly equipped, but a good infotainment system helps. Very well equipped in base models, the Mazda 3 is a good deal regardless of trim—we just wish for a better infotainment system. Regardless of body style or engine, the 2017 Volkswagen Golf is fairly fuel-efficient. 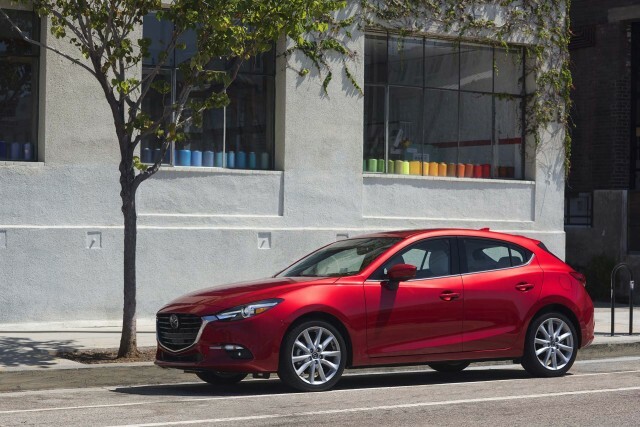 The Mazda 3 is fuel efficient in nearly every configuration, which is impressive considering its engine choices. There are no Volkswagen dealers in our network that are located near the ZIP code. There are no Mazda dealers in our network that are located near the ZIP code. We have sent your request for price quotes on the 2017 Volkswagen Golf and 2017 Mazda MAZDA3 to the dealers you requested. They should be in touch shortly. Your request for a fast, free price quote on a 2017 Volkswagen Golf and 2017 Mazda MAZDA3 is in process. The CarsDirect Dealer(s) listed below will contact you shortly to discuss your request and to provide a quote.